David Bangall Mowaljarlai was an Aboriginal elder of high degree from the Kimberley region of north-western Australia. He spent his life teaching people, both white and black (his descriptions), about Aboriginal identity and culture. One of David’s observations that stays strongly in my mind was how he could sense the health of the earth through his bare feet. When he was attuning with the bush, David would perform movements with his feet to create greater spiritual intimacy with the earth. Stamping the feet gave David connection to the land, spiritual quickening, and focus to the mind. He said “You feel you want to get deeper, so you start moving around and stamp your feet – to come closer and to recognise what you are seeing” (Source: earthsong.org.au)). 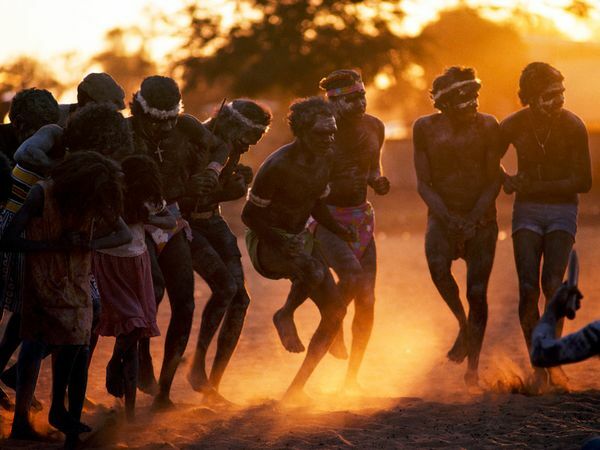 Aboriginal dance and celebration is concentrated on the movements of the feet. David Tacey promotes an Australian spirituality guided by the power of the elemental earth and the endowment of Aboriginal heritage. He describes the sacred dances as earth-dances, where the celebrants gather to “sing up” and sustain the spirits of the earth. The wisdom and experiences of people like David Mowaljarlai, and their intimate connection to the energy of the earth, are fundamental to Professor Tacey’s vision. (Image source: nationalgeographic.com). The health benefits of walking barefoot on the earth have recently been demonstrated by modern science. It has taken a while to learn from ancient insights into the energy of the Earth. Researchers have established that the Earth’s surface possesses a limitless and continuously renewed supply of free or mobile electrons (Chevalier et al. 2012, Journal of Environmental and Public Health). If we form a physical connection with the ground, especially through our feet, this “electrical nutrition” can restore and stabilise the bioelectrical circuitry in our bodies. Accessing the earth’s energy has been linked to better sleep and reduced pain amongst other benefits. Damp grass, soil or sand is considered more effective to walk on as it increases conductivity. 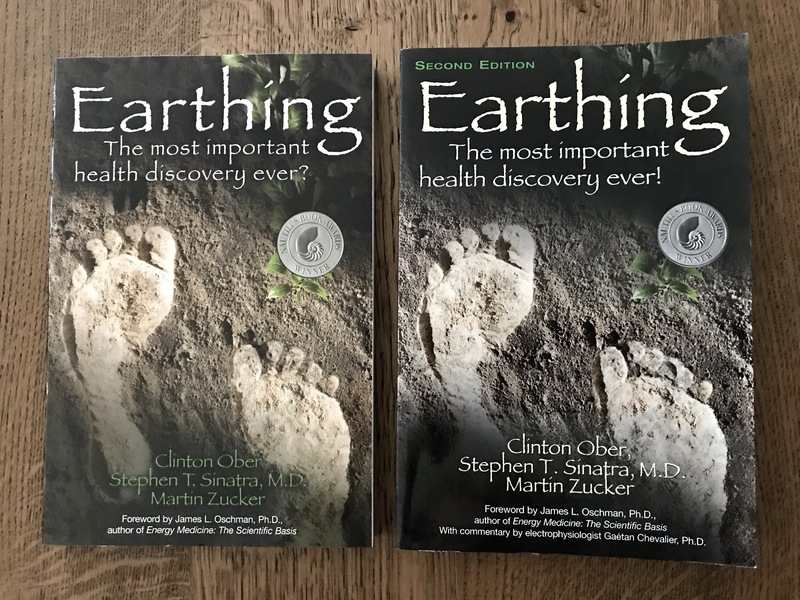 The book ‘Earthing‘, first published in 2010, focused the world’s attention on the natural healing energy of the earth and the benefits of walking barefoot. The first edition has a question mark at the end of the title. The second edition, published in 2014, has an explanation mark. What a difference one punctuation mark can make! The change illustrates the confidence the authors have in the approach based on testimonials and scientific research collated in the years between the two editions. These added an additional 60 pages to the 2014 publication. For those who don’t have access to a patch of lawn or beach, or are just not the barefoot type, earthing/grounding products are available to use in the comfort of your home. The items shown below include a sleeping mat and a mat to rest your feet on when using your computer. The mats are connected to the earth via a wall socket – crucially, with the power off. 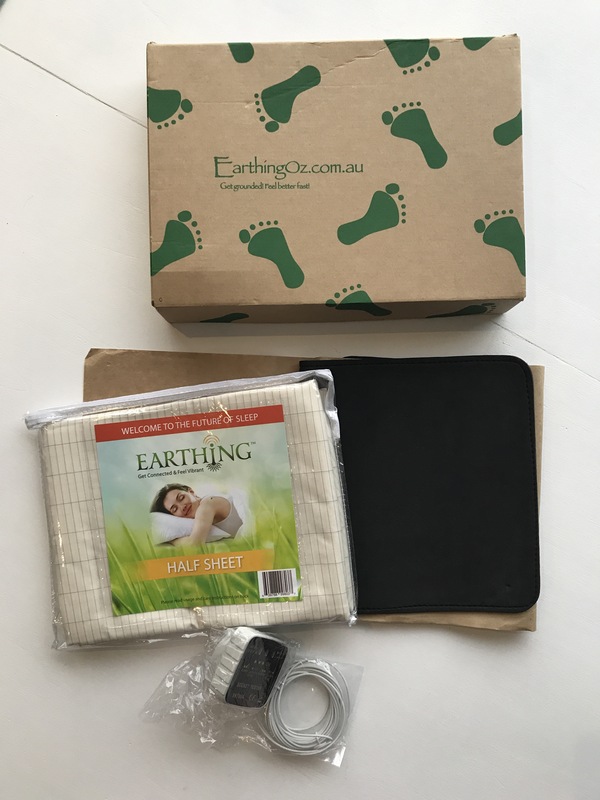 Earthing blankets are also popular for animals with inflammatory joint conditions. In addition a range of ‘barefoot’ foot pads and shoes are available that are designed to closely approximate barefoot running or walking conditions. The sale of earthing products seems to have taken off! Products like these make the Earth’s energy widely accessible. I would much rather walk with my bare feet on grass, soil or sand. For me, being outdoors and immersed in nature is as important to my health and spirit as receiving the electrical signals the earth emits. The relationship between feet, wellness and the elements has been part of Traditional Chinese Medicine (TCM) for thousands of years. Acupuncture, a key component of TCM, is designed to clear energy blockages and encourage the normal flow of Qi (energy) through the body. The system is based on inserting fine needles along one or more of the meridians identified through the body. The type of treatment is determined by the balance of YinYang and the five elements/phases (Earth, Water, Fire, Metal and Wood). Each element is related to different organs and systems in the body. Energy flows related to the elements can be interrupted by disease and manifest as a disturbance in the body’s energy field. It is these disturbances that acupuncture treats. The cover of the well used Acupuncture book on the left illustrates some of the energetic connections (meridians) between the different parts of the body as described in TCM. Six of the main meridians are found in the feet – they penetrate the liver, spleen/pancreas, stomach, gall bladder and kidneys. 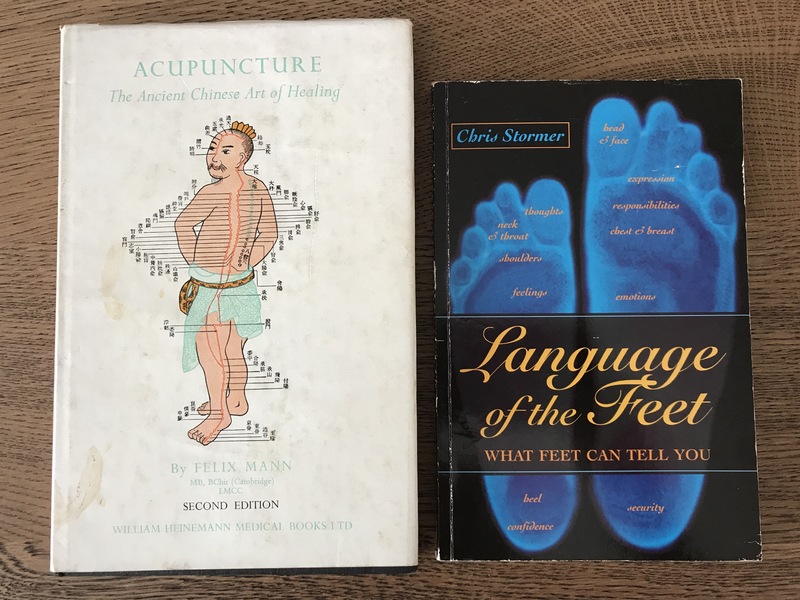 On the right a book on Reflexology, which at times draws on TCM and the five elements, shares the language of the feet. As can be seen, they have many stories to tell. Like Acupuncture and Reflexology, Applied Kinesiology identifies and balances energy blockages in the body. It does so by testing the muscles of their clients so they can obtain overall better health. The procedure was developed in the 1960s and again makes reference to the five elements, particularly in relation to emotions. It was in a book on Professional Kinesiology that I came across the numerous English phrases related to the feet. These included ‘Stand on your own two feet‘, ‘Cold feet about it‘, Stepping out‘ and ‘Carrying your own weight‘. Personally I like the phrase ‘Feeling grounded‘. For Kinesiologists foot-related phrases like these indicate if their clients are moving on in life or staying firmly stuck. Each of these healing systems treat the body holistically emphasising that feet are intimately connected to the energy systems in our bodies. Another dimension of the interplay of feet, energy and the elements is the foot movements of tai chi – the “Five Elements in the feet”. The following information comes from an article from ‘internalgardens.com‘ that describes these connections in detail. It documents that Zhang San Feng, the founding father of the art of tai chi chuan, related the five basic directions of tai chi footwork to the five elements: metal = advancing; wood = retreating; water = facing the body left; fire = facing the body right, and earth = either moving up and down, or pausing at an equilibrium point. The article ends with the question: How much awareness do you place on your footwork? This is a question that we could ask of the work of our feet more generally. 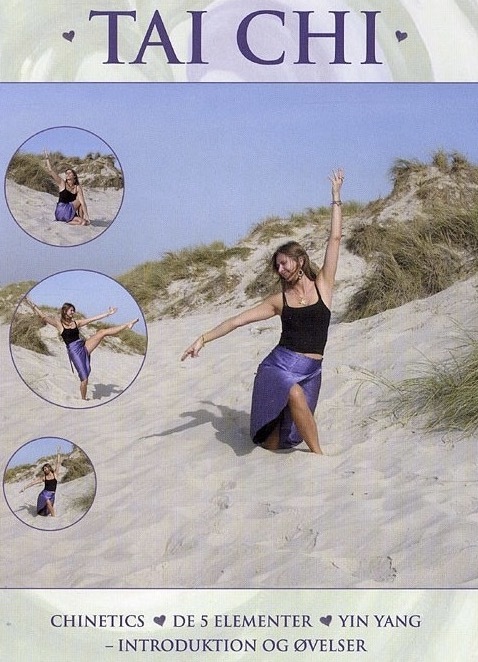 An introduction to Tai Chi Danish style. Encompassing energy, the five elements, Yin Yang and the health benefits of Earthing and sunshine, it looks like a winning combination. Being aware of the movement of your torso, arms and feet is an essential component of tai chi. (Source: http://www.williamdam.dk). Last but definitely not least I come to the specific elements associated with the feet and toes. In my wildly popular post titled ‘The elements at your fingertips‘ (nearly 8000 views and counting), this is where I started – with the image below. 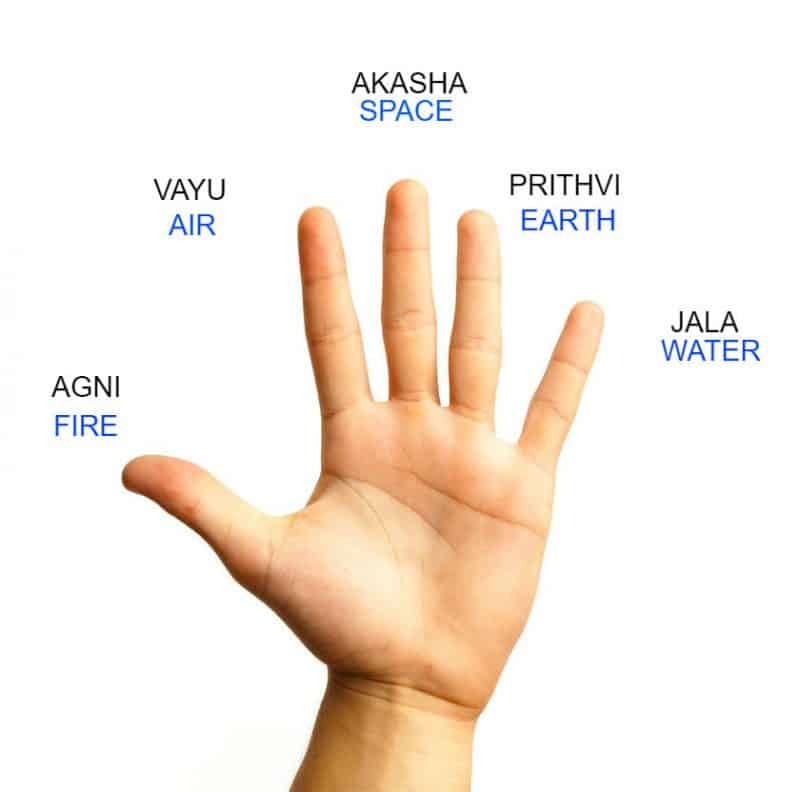 The fingers and the five elements, an Indian perspective. (Source: thedailymeditation.com). A similar image for the elements associated with our toes follows, encompassing the same five Indian elements as the fingertips (ether = space). 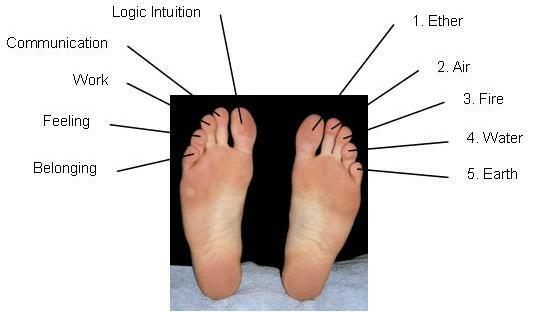 The foot diagram was part of a presentation at a Reflexology meeting in Brisbane, Australia. The author noted that the toes begin with the spiritual Ether at the big toe and move outwards to the grounded Earth at the small toe. The diagram demonstrates that in the context of the feet, Reflexology draws on both the Chinese and Indian elements in its practice. The Southwest Institute of the Healing Arts (SWIHA) in Arizona labelled the toes the same way, referring to them (from Ether to Earth) as the destiny toe, the communication toe, the ‘just do it’ toe, the relationships story toe and the trust (on the left) and prosperity and abundance toe (on the right) for the little toes. To find out more about the history of these elemental connections I would need to buy the SWIHA book on Toe Reading, or attend one of their Toe Reading Reflexology Classes. Elsewhere I have read that the foot in its entirety is related to the element of water. I would like to discover more about that dimension of the elemental story of feet. 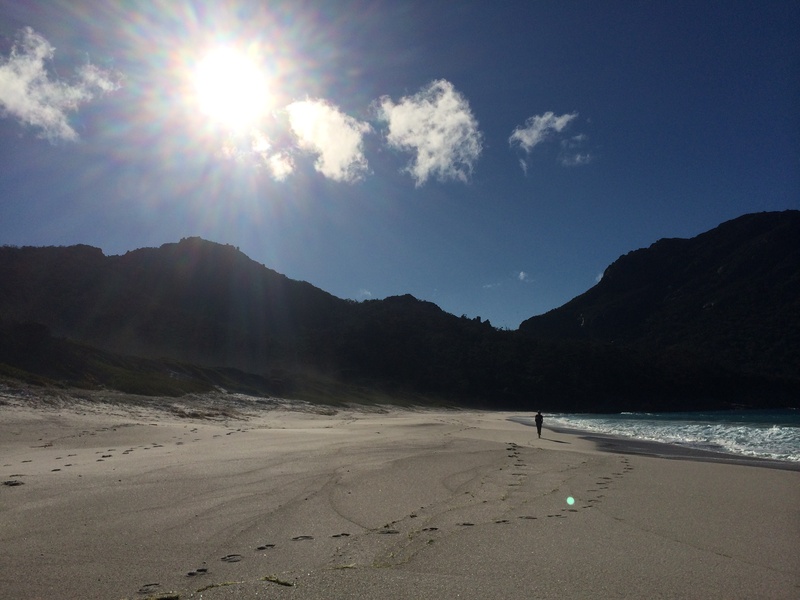 Footprints on a beach on the East Coast of Tasmania – an iconic scene that to me represents the essence of feet, energy and the elements. Our feet and toes are made for walking, and running, and dancing. My explorations highlight the importance of our feet to our well-being and their connection to the elements, particularly the energy of the Earth. I leave you with the image above and the last stanza of a poem titled ‘Earth is Singing Today‘. Fittingly it comes from a book by Adele Coombs titled ‘barefoot Dreaming‘. The energy of the elements is everywhere. making music for the Sun-maker. This entry was posted in Aboriginal Australians, Aether/Space, Air, Australia, Books & reviews, China, Earth, Energy, Fire, India, Indigenous knowledge, Metal, Philosophy, Story telling, The five elements, USA, Water, Wellbeing, Wood and tagged Air, Australian Aboriginal, China, earth, Energy, Fire, India, Metal, the elements, Water, Wood, Wu Xing, Yin-Yang. Bookmark the permalink. I very much enjoyed reading your post on the connection our feet have with the energy of the earth and the elements. It is easy, in the busy lives we lead, to take so much for granted and I know I take my feet for granted! I was interested to read your reference to David Mowaljarlai and his explanation as to why aboriginal people ‘stamp’ on the ground. I have often wondered about this, as it is a fascinating behavior to watch. It is also very interesting to learn about the ways in which different cultures mirror the elements in the soles of our feet. It feels so much more connected to our physical selves to overlay this kind of knowledge, whether it be in the hands, the feet or our bodies. I will try not to forget this important connection you have highlighted here. If I do, a little voice will whisper in my ear, remember Jann’s blog!